How Are You Supposed to Enjoy Animal Crossing? I know how to have fun playing a Mario game, a Zelda game or a Metroid game. I get Pikmin. I get Fire Emblem. Hell, I got Cubello. But I never got Nintendo's Animal Crossing series. Help me understand! I've tried the GameCube version, the DS one and the Wii one. Nintendo kindly sent me a copy of the 3DS one—June's Animal Crossing: New Leaf—which I just started playing yesterday. And by "playing" I mean that I've dug up some fossils, written a couple of letters to virtual animal-people, shaken some fruit from trees, stepped on some flowers, sold some seashells, fished some fish and stood outside stores that open later than I wake up and close before I again try to play the game at night. 15 Minutes of the English Version of Animal Crossing: New Leaf. Let&apos;s Go Swimming! People love Animal Crossing! Do they love that stuff? Am I doing it right? Am I really supposed to be writing letters to virtual animal-people? My colleague Patricia Hernandez knows how Animal Crossing is meant to be played. She's an aficionado. We're having her review it, not me. Me? I need advice. What's the secret? Play it in small doses and watch the seasons change? What if I don't care about drawing my own shirts? Am I doomed to not get the glory of this game? 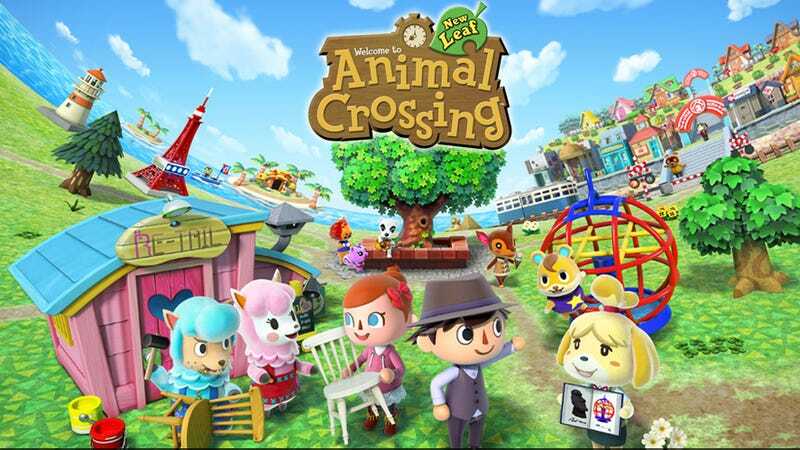 Is the trick here for me to stop thinking of Animal Crossing as a game? Is it better thought of as something else? I'd like to have the kind of fun other people have with this series. Thank you.